Jennifer Horn is a Certified Journeyman Farrier (CJF) and Accredited Professional Farrier (APF) beside being an Artistic Blacksmith. Jennifer has been serving the northern Michigan horse owner community since 1992. Jennifer earned Certified Journey Farrier status through the American Farriers Association. By achieving that certification she became the first woman in Michigan to reach that level. Jennifer was invited to beome a founding member of the American Association of Professional Farrier and likewise earn accreditation of APF (Accreditated Professional Farrier). In addition to her career as a horseshoer she is also a highly creative Artist-Blacksmith. The skills Jennifer has employed in her horseshoeing business have allowed her to branch into artistic blacksmithing where she enjoys working with hot steel to create fun, beautiful and functional works for many clients, her family and her friends. 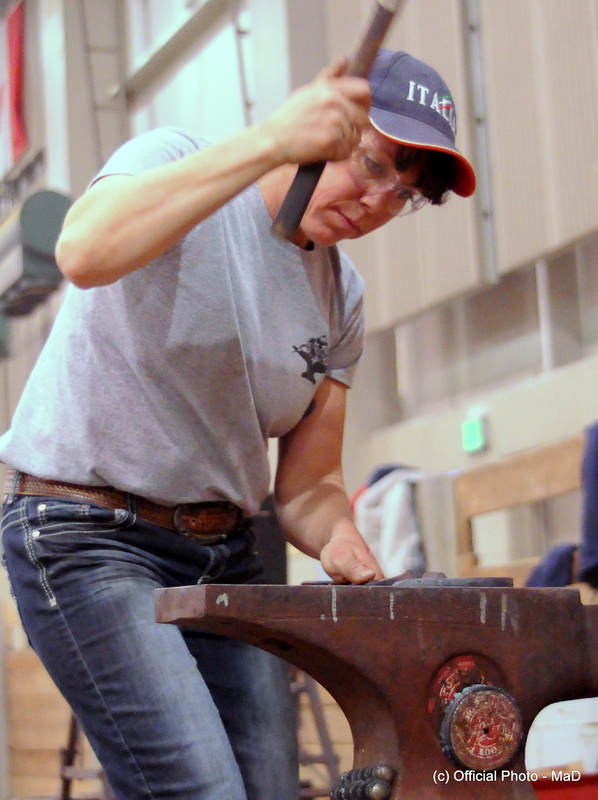 Jennifer has attended training with some of the most prestigious blacksmiths throughout the United States. Jennifer participated in continued blacksmith training at major folk schools such as John C. Campbell, Touchstone and Tillers International. For nearly 17 years Jennifer lived at Rosedale Farm, Dafter, Michigan where she managed Rosedale Stables, a 200 acre horse boarding facility in addition to her Horseshoeing business. Jennifer purchased her Daisy Hill home, in 2011, which is on about 11 acres and about 4 miles from the farm. The horse boarding business is behind Jennifer now. She downsized to a smaller home on less property. This allows Jennifer more time to travel nationally and internationally as part of her Farrier career. No more worries about farm chores while she’s away from home. 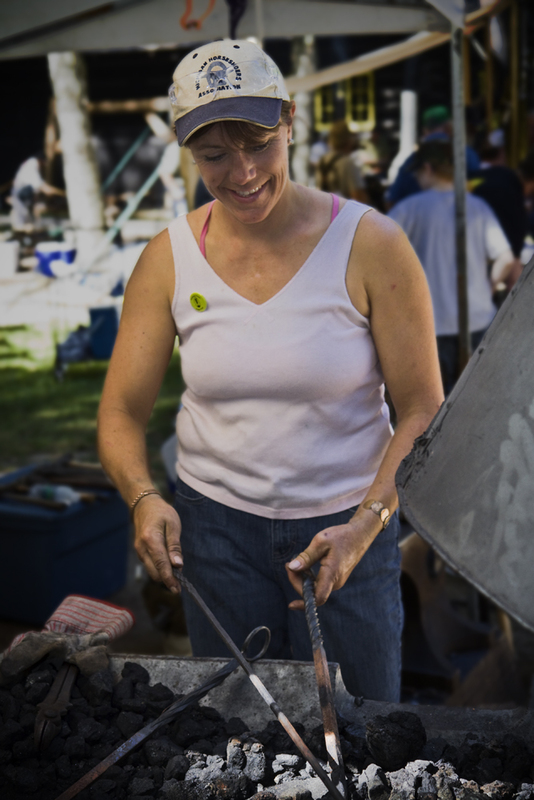 This new ‘freedom’ also allows Jennifer to pursue the creative blacksmithing passion that she has. Jennifer has been an active member of the Executive Board of the Michigan Horseshoers Association for many years. For over 10 years Jennifer served as the Association Secretary and co-chair of the Michigan Horseshoers’ Annual Contest and Clinic held the first week of January every year. Jennifer is currently the vice-president of the Michigan Horseshoers Association. 2016 will be the 47th year for the MHA and it’s Annual Contest and Clinic. As a founding member Jennifer was also on the Board of Directors of the American Association of Professional Farriers, a national organization. The AAPF was created to promote the integrity of the farrier industry and strengthen the knowledge and skills of its members through continuing education and support at the state, national and international levels while improving overall equine health through collaboration with other industry professionals. Jennifer is very proud to be able to say that she is a founding member of the organization. Jennifer believes in continuing education and the benefit it brings to the Farriers and their clients. On a community level Jennifer is a mentor for the local 4-H club where she enjoys spending time with the local kids (and other volunteer parents) passing on skills and knowledge of horsemanship. Whether your horse needs trimming or shoeing Jennifer will provide service of the highest quality and you can be assured that the health of your animal is always her number one goal. Jennifer has the services that you need at prices you can afford. Jennifer’s goal is to provide you with courteous, expedient, professional service of the highest caliber.